NEW YORK — President Barack Obama is taking some heat for how he saluted Marines on Tuesday. Obama walked off Marine One and saluted Marines with a cup of coffee in his hand as he was on his way back from a United Nations event on climate change and an address on airstrikes in Syria. The White House posted the video on its Instagram account. News organizations such as ABC News reported the salute has been dubbed the “Latte Salute” and “Semper Latte” by the Washington Times. What an ignorant and insulting twit. Yeah, you are right. But what you didn’t see, was the barista’s note on the latte said, “Mission Accomplished” Oh, wait nope that was the last “president”…. Still bashing and blaming Bush? Had this been a republican doing this it would be a lead story on every nightly newscast, since it is ODummer, no big deal. He could kill someone on live TV and the lap dog media wouldn’t even report it. This guy can’t be the Teflon president, that would mean someone would have to actually try to make something stick. disrespectful and not surprised in the least. Does the man have an ounce of integrity? NOPE!!! The point is NOT whether or not he is required to salute (because the fact is he did salute), it is the manner in which he saluted. 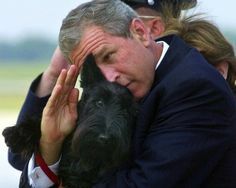 The hand salute is one of oldest and highest forms of respect in the United States. Here is a suggestion Mr. President, if you decide you are going to return the salute of an American soldier, put your cup in your left hand and salute with your right hand. Makes me sick. A president is the commander-in-chief. He or she should serve at least two years in the military before being the one who leads them. If he is a civilian, then I guess he most definitely doesn’t deserve a salute. I guess they can remove the “Commander in Chief” title, as well. I’d be happy to salute the president. With my middle finger…. Poor, pitiful excuse for the man he thinks he is. How progressive and forward looking. The one man that can, simultaneously, make Richard Nixon, Jimmy Carter, Lyndon B Johnson and George W Bush all look good. You go guy! To the men in BLUE I salute you with my greatest respect ! Apologies from the citizens…. You are our heroes!!! What could possibly be a greater priority than respecting the traditions and ceremony of our nation? Especially by the one who should be showing the utmost respect…after all, one of these young men may have to save his life one day. Obama is like a turd in the toilet that refuses to flush down the drain. It just keeps floating around staining everything it touches.